Hey y’all! Where did we disappear to? Just an update to let you know that Lillian now blogs at her Lillian Darnell website and I blog at my Camilla Downs website. Lillian’s six year old brother, Thomas, is now blogging at his Thomas Darnell website. Finally, we have a Team TLC website where you can follow all three of us! We’ve also been working hard on the 501(c)3 I founded, the Turning Views Foundation. You can learn even more about it at the Different iz Good website which is the slogan for Turning Views Foundation. Come on over and visit either one of us at our websites! We’d love to see you over there y’all! So, do you remember being a kid? Well, this site and company is about capturing and remembering childhood through the eyes of a beautiful, special, 7 year old little lady by the name of Lillian. When Lillian was 4 years old she began asking me to staple loose paper together for her in the style of a book. Then, she would draw or write stories or illustrations in her “book”. One day I asked her if she would like to write a book and she said “YES”. So, we have written 4 books since then (not published yet -that’s where Pink Elephant Books comes into the picture). We have ordered our ISBN numbers, located illustrators, the book printer we would like to use and once we and our company have the funds – we will publish those darn books. Lillian chose the name of the company (Pink Elephant Books) and directed the look of the logo and we know how we want the website to look (again once the funds are there). In the meantime, we decided to share some of Lillian’s short stories, art work and photography. Some of the articles will be written by Lillian and some by me. She not only loves writing and making up stories, she loves to draw and is an amateur photographer. Oh yes, one other detail about Lillian. 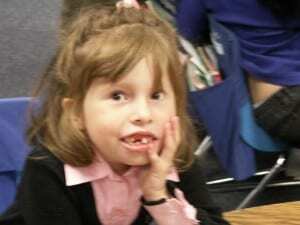 She was born with a Chromosome Disorder called 18p-. (The most common and well known chromosome disorder is Down’s Syndrome.) For more information about 18p- you can visit The Chromosome 18 Research & Registry Society. Lillian was born in 2001 and we did not know until 2004 that she had this “affliction“. Now, not everyone will agree with this; but, I tell Lillian periodically that she is very special and has issues and that she will use these “issues” to her advantage in her life. The most prevalent issue Lillian has is her ability to communicate. Most of her speaking is unintelligible. I and close family members can understand some of what she says; but, most people would not understand her. I taught her sign language early on; so, we use that (I never taught her past the alphabet and single words) and now that she has learned to spell she will write out what she is trying to say or spell it with sign language. The school district has purchased an augmentative communication device for her that she is a whiz with using. So, we use this also. Lillian will use the V-Tec if it’s turned on; but, if not, she will use the other 2 methods (with some jumping up and down and some screaming thrown in). Has anyone ever played the game Charades? Well, think about if you were playing it for about 5 years straight (and counting)! Lillian also has some gross and fine motor delays. In addition, she is very short and small compared to her peers. 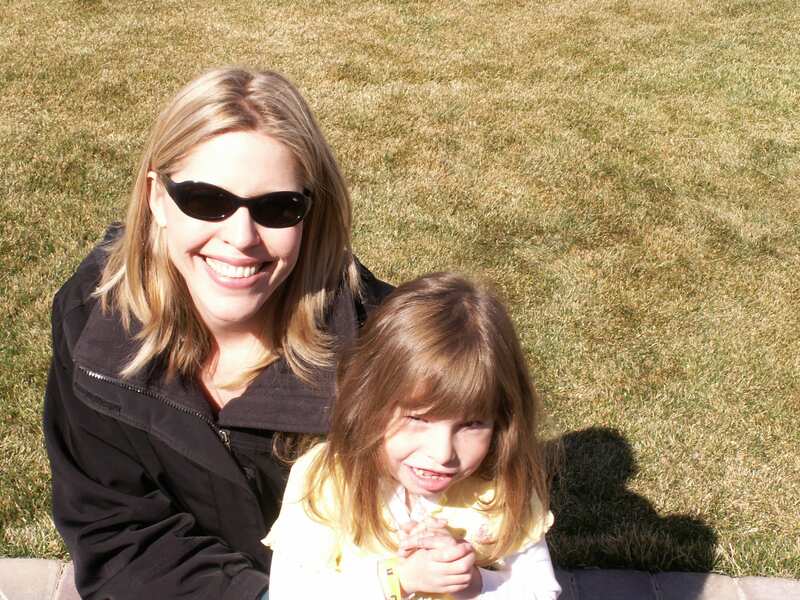 Although Lillian is not, many of the children with this disorder are growth hormone deficient. There is something very special about this wonderful young lady – she has a unique energy about her. This is not only coming from her mom; but, others have commented on it as well. I invite people who have met Lillian (either in person or through me) and family and friends to Comment with their thoughts about Lillian. Hmm, well, I am Lillian’s grandmother. When I was 12 years old, I weighed 65 pounds. I think I weigh about twice that now. Also, her mannerisms,and some of the challenges are shared by me. And, as far as I know, I am not -18. So, in my world, she is just like me (what an honor). I love the pictures and the stories, and I love that Lillian has the best mother in the whole world. Forgive me for intruding if you know this already, but you don’t need to wait for funding to publish the book. My son and I published through CreateSpace, which will print as few as 1 book at a time, and list it for sale on Amazon. They even provide the ISBN at no charge. We have sold copies on Amazon and have had extra copies published CHEAP (a couple of bucks each plus the shipping cost). You only need to be a little computer literate to do this yourself and save the thousands of dollars that independent / vanity publishers want to charge. The link to our book on Amazon is http://www.amazon.com/Investigators-Exciting-Adventures-Curious-Alligators/dp/1442108290/ref=sr_1_1?ie=UTF8&s=books&qid=1277261239&sr=8-1 (or just type in Jeremy Whaley into the Amazon search window. The link to CreateSpace publishing is just createspace.com. Let me know when you get your book published, I’d love to buy a copy. Oh, also, if you want to sell to the schools and libraries be sure to get a library of congress number for your book before publishing, although with CreateSpace you can add it in later and just call it a 2nd edition. Ok sorry it had been in my mind for ages!!Mmmmuuuuaaaahhhh!! Camilla! Email me! Have you tried Lulu for publishing Lillian’s books? Hey Virginia! Haven’t checked in to Lulu yet! Thanks much for the heads up!! Thanks so much John! YES! I have looked into CreateSpace and that is the route I plan to go! Much appreciate your input! 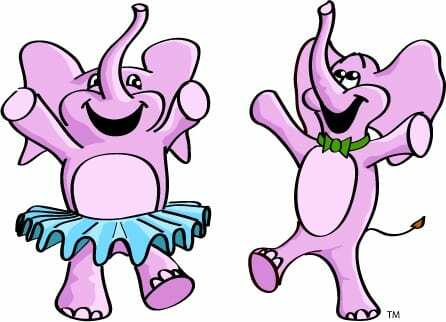 Thanks again for your Pink Elephant Style! I just received a re-order, and it is just as much fun as the first.